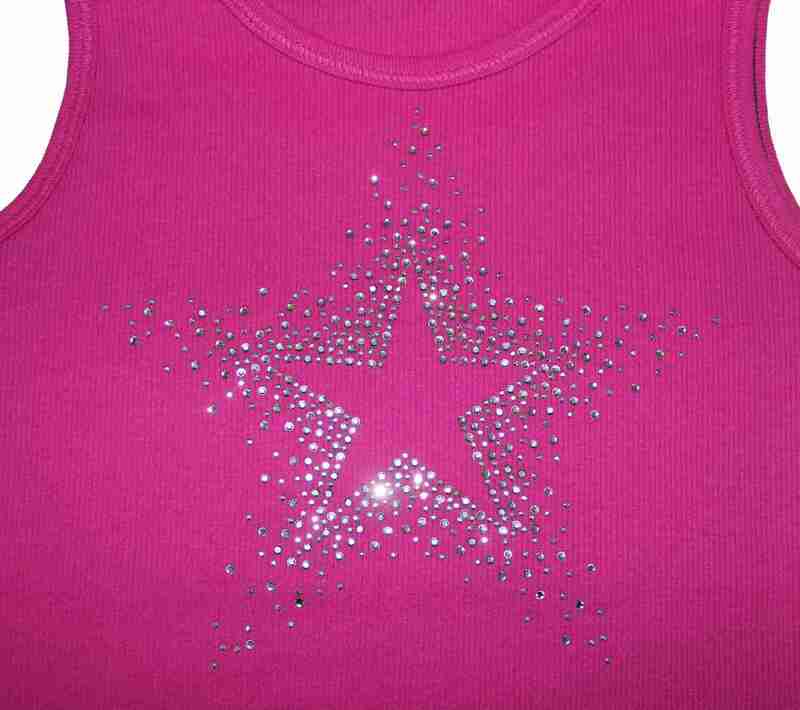 This beautiful clear Rhinestone and silver rhinestud Starbursts parkles on the front chest area of the Dark Pink Faded Glory Large Girls 100% cotton Tank Top. 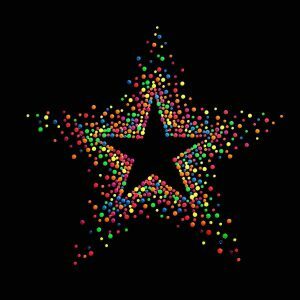 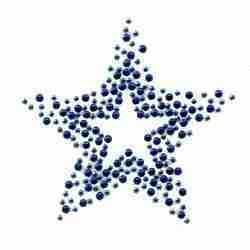 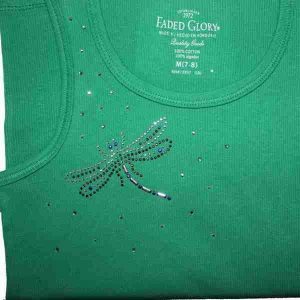 Carefully applied with a heat press to adhere rhinestuds, this applique has no scratchy back like sequins or studding can cause. 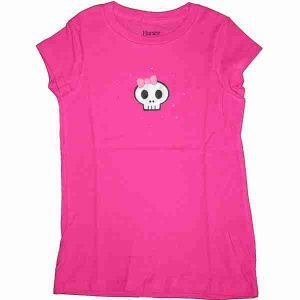 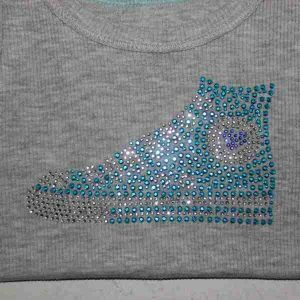 Super cute for your little girl or as a present! 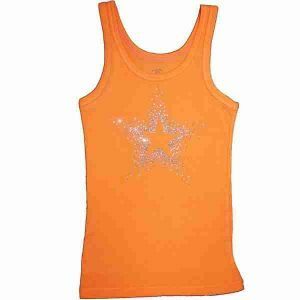 Only Girls XLarge available at this time Measured laid out flat, (but are very stretchy): Length from top of shoulder – 22″ Waist width across front – 12.5″ Strap Width – 2″ Care Instructions: Wash inside out on Cold, Delicate cycle and either hang dry or air dry, with no heat to preserve your sparkle decor!